2013, if you haven’t realised it as yet, by the vast amount of attention it is grabbing, is the year of Content marketing . Study after study have shown that content marketing can turn the unaware into aware, the non-engaged into advocates and web browsers into customers. It does though require effort, resources and quality creators. To be successful, content marketing relies on sharing a regular dose of quality content and producing this takes a big investment in time; not to mention being creative with it. What Could Content Marketing do for You? Content marketing if done well helps you and your business build relationships with customers and stakeholders. Surely, that’s what it;s all about in today’s world. A quick sale or smash and grab approach to any sort of custom or engagement will not last. Nowadays with people continually engaged with digital and social content, making sure you’re part of that connection and engagement through content will put you on the right track to success. Content marketing can ensure you and your businesses’ reputation is visible, enhanced and supportive of relationship building. It helps those that see your content get what you and your brand stands for, allowing relationships to be built and puts the consumer in the mindset of how you or your products and services could enrich their lives. Anything worth having takes effort. Content marketing is no exception. It won’t guarantee overnight success, but it is sustainable, scalable and in the digital world a cost effective option. Done well, it will build trusting relationships and in turn an amount of social media advocates acting as your own business development department (for free!). In an E-Consultancy survey on content marketing in October 2012 the value companies were placing on it, was clear to see from some key outputs. Researching the best content driven campaigns I read about this “Our Food – Your Questions” campaign ran by McDonald’s Canada. I especially like it because it’s totally user-centric putting them in control of the initiating and response questions as they ask McDonald’s the questions. 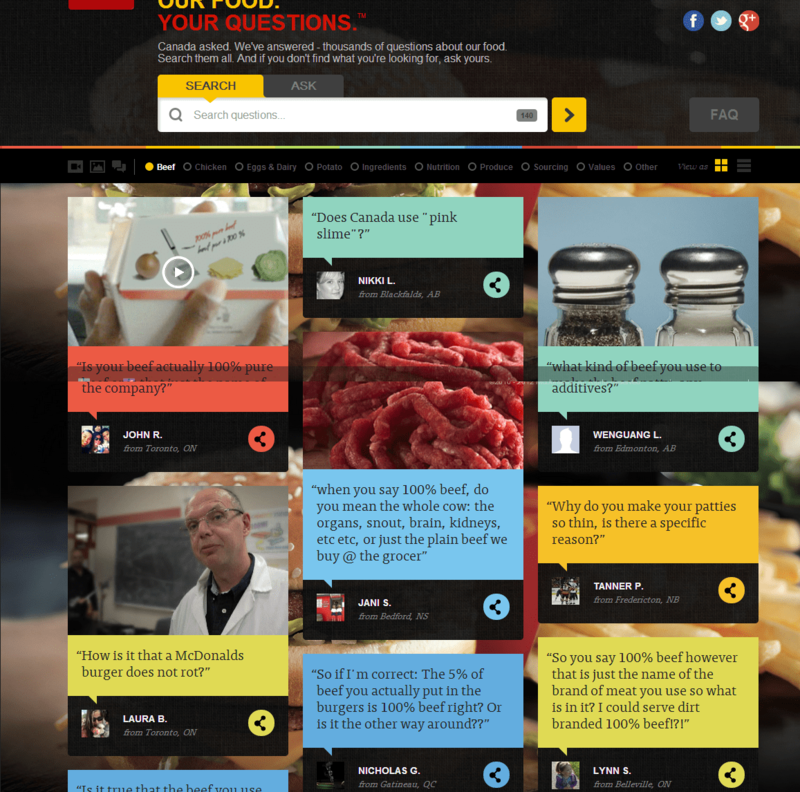 Launched in June, the Our Food, Your Questions program invites any Canadian to ask any question whatsoever about McDonald’s food on a special website. To ask a question, participants must connect with either Twitter or Facebook, providing social visibility and a ripple in the pond viral effect. So far, more than 16,000 questions have been asked (they are getting 350 to 450 per day), and nearly 10,000 have been answered. The program scope is only around McDonald’s food, so questions about non-food topics are directed to other resources, and some questions are of course duplicates. But there’s no dodging the tough questions, and that’s the amazing thing about this program. It could have been easy for them to say, “It’s too risky,” but this is just the type of marketing edge McDonald’s needed. It has all the qualities attractive to today’s consumer — engagement, great customer service, offering transparency (and thus building trust) — and does so on a platform that makes sense in today’s social age. Once you’ve decided that content marketing is worth pursuing (which it will have to be eventually) you need a plan of action. It is often easier for bigger companies; they have an advantage to when it comes to producing editorial-style content with a budget to research, edit, produce and respond to their content campaigns. If you’re an SME and don’t have the budget to work with a professional, it’s important to make sure that the type of content you create is playing to your strengths. Think about these content types below to see what mix might work for you. A great way to gain credibility, spark opinion and build though leadership. Whatever industry you are in, you have expertise that your audience will be interested in hearing about. A blog filled with advice, ‘how-tos’, opinions and topics related from your industry can be a brilliant way to present and share your knowledge and connect with your audience. If you have a flair for writing, blog. There’s no excuse. Video content is the most effective way to engage and get across information. If your brand is visual or you have stuff worth showing off to the human eye, get the camera out and start sharing. YouTube and Vimeo are great platforms to connect to a new audience and it is much easier than you think to put together a professional looking video. Vine, a new smartphone app allowing you to shoot and publish 6 second videos, built your way at once or via stop motion has allowed many brands and individuals to get even more creative and social with their video content. Graphic images and infographics can be a great way to share tips and tricks with your fans in a n engaging and highly accessible visual way. This kind of content is often much easier to share – which is a great thing as long as people know that your company created it in the first place! Make sure you put your company name and URL in the image/infographic somewhere. Independently, but best integrated to the above content types, social media is a fantastic way to stay connected and inform and respond to your audiences. At an individual level it can allow you to provide excellent levels of customer service, at a more holistic level it can attract fans, improve your SEO and enhance your brand by having engaging content and the ability for content to easily attain viral context. Your content marketing strategy will be much more successful if you are consistent with it. Set yourself a target for each week, and stick to it! Assign certain days of the week for certain content activities (allowing time for research).It can be a good idea to plan ideas for content in one go and add them to an editorial calendar or schedule. Don’t forget to be flexible as the environment and your customers can be unpredictable. Creating quality content week after week can be difficult. Think about utilising your network, lifting some of the pressure and getting help. 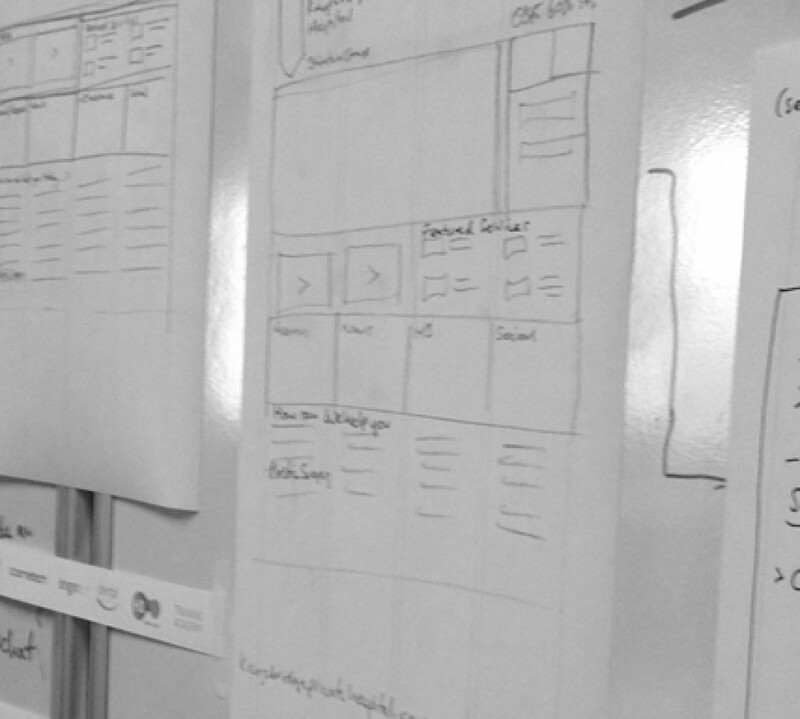 If you have a team of staff working within your business, consider spreading the responsibility for creating content. This also allows these people to become more engaged within the company and also this may be attractive brand enhancing element as users get to know the staff, who are also content creators. This is so important. Being silent and not engaging online is not as bad as being off brand or unprofessional online with content. When you’re updating your business’ blog, or Twitter feed or Facebook page, it can be tempting to stray outside your area of interest. Take my advice; don’t do it! It’s vital to stay professional and on brand. A good way to do this is to set out from day one what topics and interests you are going to post about. Also ask your audiences what they wish to see and hear and get them to contribute. Getting your audience writing content for you is worth it’s weight in gold. It’s NOT possible to be an overnight success in the digital world. Look at any successful blogger or YouTube broadcaster, and you’ll likely find that they were creating and sharing content regularly for a long time before they received success. This will also be true of you and your business. It’s important to stay motivated and keep going, even if it feels like no one is paying attention at first. A moment may arrive that gains some traction and builds momentum for you, your business and your content. Experience will help you attain higher levels of impact and increased chances of traction amongst audiences. No matter how big or small your company is, you have the ability to use the principles of this marketing strategy and use it to reach out and connect to your audience. They want it, crave it and have time for it, so there’s no excuse. Find the right mix of type, resource and timing and success can be only round the corner. It’s important to plan and research before jumping in with both feet. Before you get started it’s important to think about what kind of content will best showcase your business’ brand, and what kind of topics and interests it will be most relevant for you to cover. What have your competitor’s done? Are there examples abroad that could be mirrored or tweaked to suit your business? Taking the time to put these thoughts together in a strategy will be much more beneficial in the long run than jumping right in with both feet into writing and creating any sort of content. Keep engaging your audience with quality, on brand and timely content, and you’ll see the benefits.